Abzu, the latest album by blackened thrash metal band Absu, is a surprisingly complex and thoroughly satisfying creation. 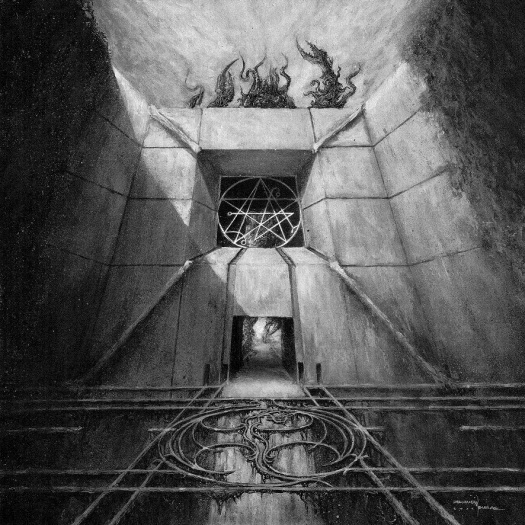 Absu refer to themselves as "mythological occult metal," writing material that's thematically influenced by Sumerian, Celtic and Lovecraftian symbolism. Abzu is the second part of a planned trilogy, beginning with their self-titled 2009 album (rumour has it the third instalment will be titled Apsu). If you loved Ghost's Opus Eponymous, but felt it was too soft or not metal enough, this album will be spot-on perfect. Right from the beginning of "Earth Ripper," the wailing vocals and boundless energy of thrash are paired beautifully with the blistering pace of black metal. Proscriptor McGovern's incredible drumming serves as the engine for this high-energy album. Abzu is venomous and merciless, but also intelligent ― the songs are structured well and progress fluidly. "A Song For Ea" closes the record, serving as a kind of microcosm for the project as a whole: varying pace and style, all in the service of creating music that conjures a primal, organic energy. Absu have created a release that can be called extreme metal without completely abandoning sense for extremity. Abzu is thoughtful and eloquent amid the hissing, crashing cacophony.